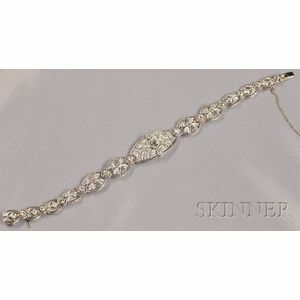 Art Deco Platinum and Diamond Bracelet, centering and old European-cut diamond weighing approx. 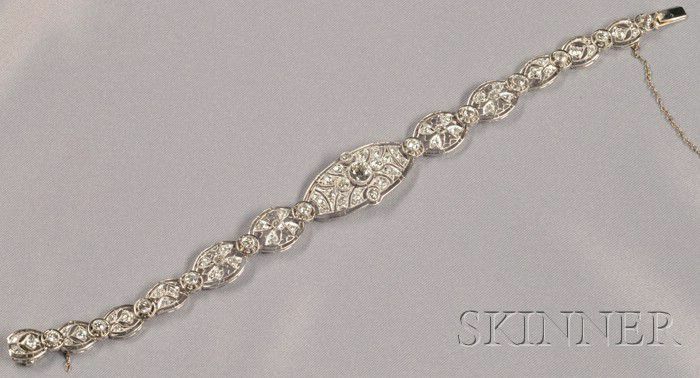 0.95 cts., further set with old European and old mine-cut diamonds, approx. total wt. 6.20 cts., millegrain accents, lg. 7 1/2 in.